There are lots of things that I LOVE about this time of year. 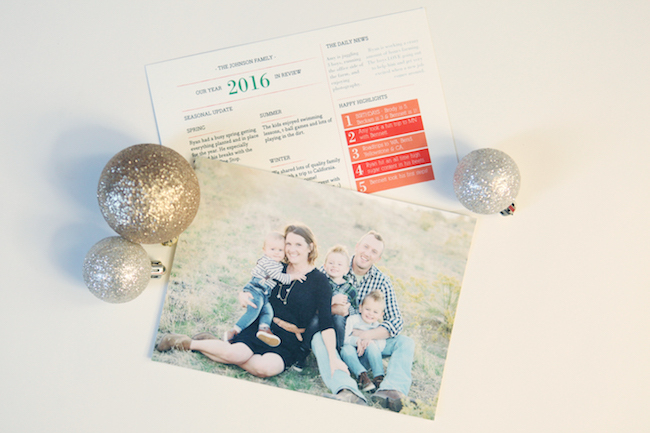 But one of my very favorites is getting Christmas cards in the mail. Snail mail is a lost art. It's like finding a gem amongst a heap of bills. Not only do I like receiving Christmas cards, I like to make them. And it's a super good excuse to get pictures taken that actually have ME in them. 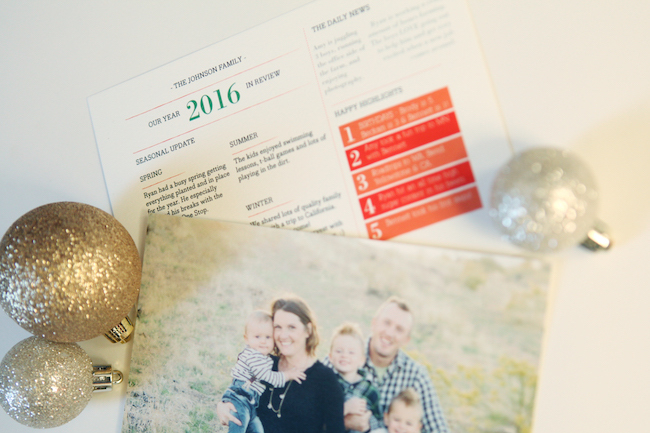 I headed to Minted to peruse their beautiful designs, and I came across one that was perfect for us! 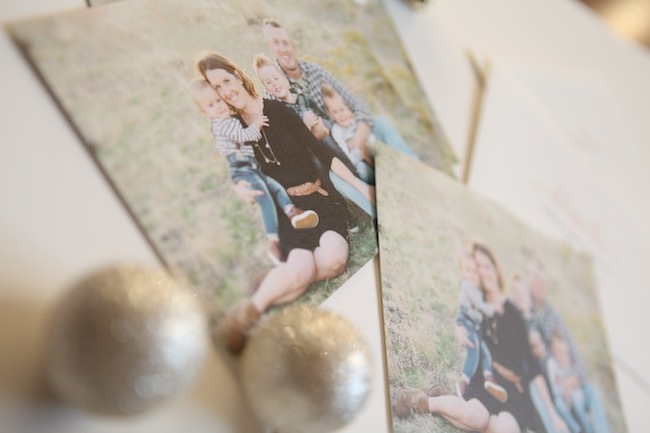 I've heard it from multiple family members, that they want to be able to frame the pictures of us. So I found a card that they could. And although I definitely miss all of that glorious gold foil, I think it is perfect! And, I don't have to go out and print multiple copies of the same picture. Since I went simple on the front of the card, I jazzed up the back. There was a layout already set up, and I just input all of our info and years happenings. Since many family and friends live a ways away from the farm, now they can kinda keep up with what's going on in our life. Although, really... they should just be reading my blog, right? 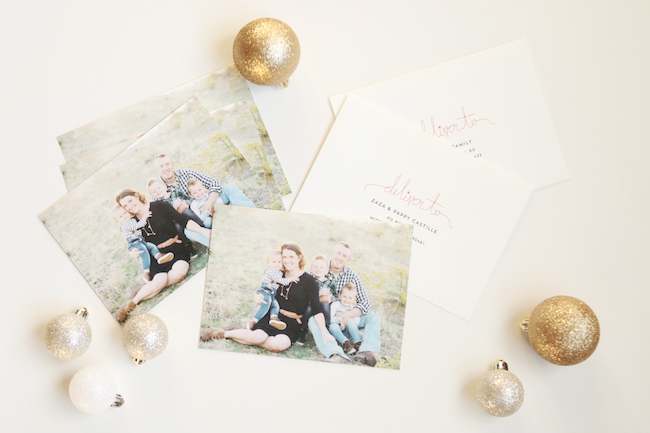 AND, a major reason I will never ever leave Minted, is because they have all of my addresses neatly organized. They also print these addresses on every envelope for FREE. My calligraphy is very subpar, so I love this! A Christmas card from the farm! 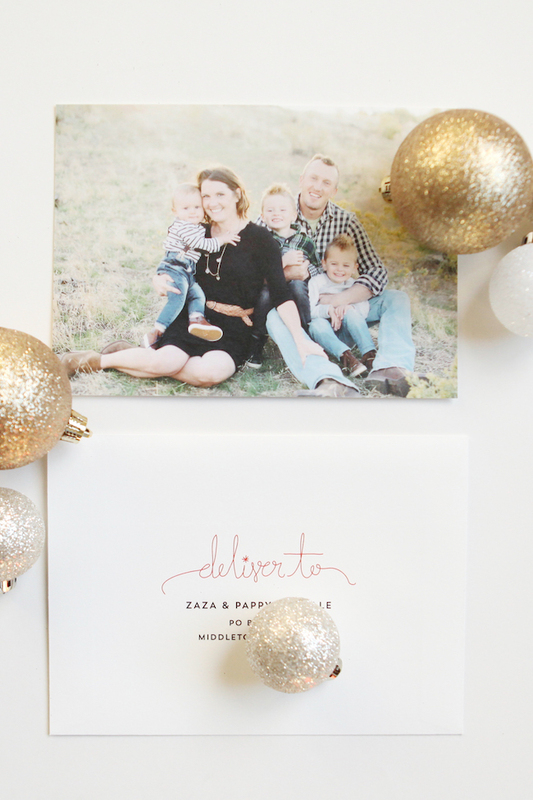 If you still haven't done your Christmas cards, it's not too late. You can get your cards by THIS Friday with free rush shipping - just use the code SHIPNOW. OR, if you aren't in a hurry you can get 15% off your order using code WINTER16. 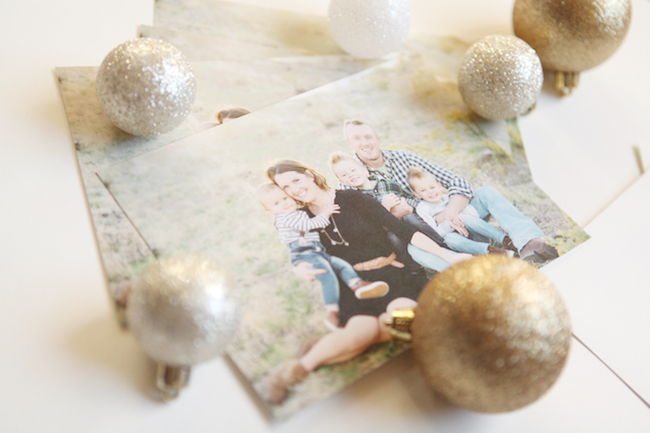 So, go snag some cards at Minted! Join the lost art of snail mail. I didn't know they printed the address for you, that's awesome! And I love the idea of being able to frame the card. Excellent idea.